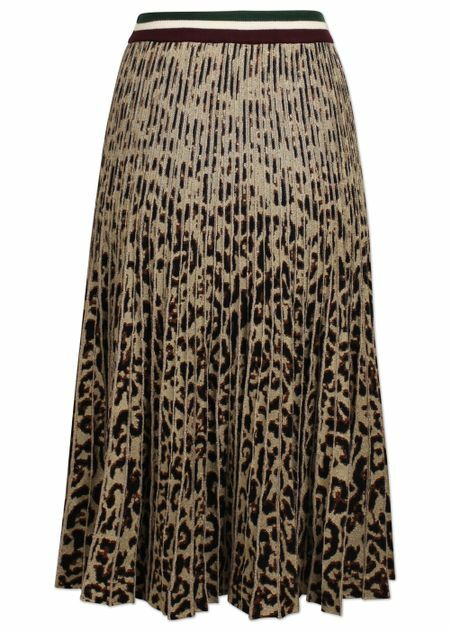 Beautiful midi skirt from Baum und Pferdgarten in lurex quality with nice leopard print. The model is made of pleated knit with glitter and a striped rib elastic in the waist. 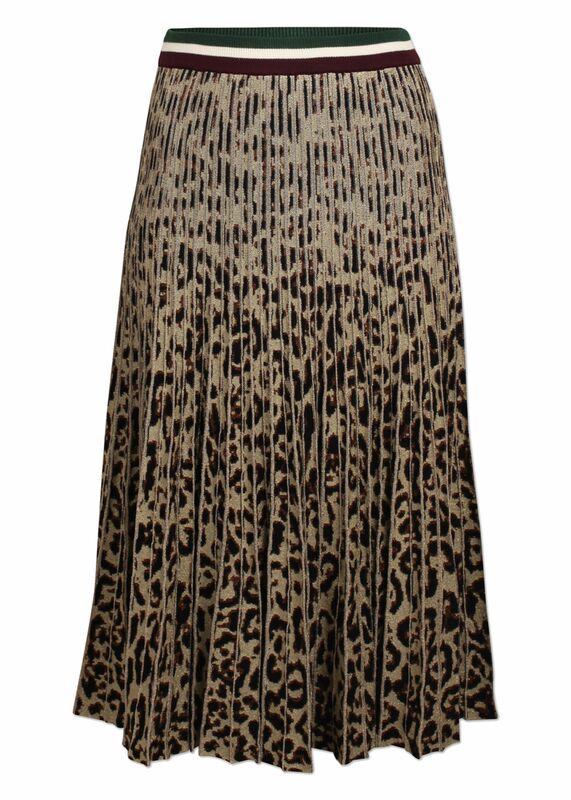 Style the skirt with a tee, a pair of tights and a pair of sneakers for a sporty everyday look, or with a nice lace top for an elegant party look.